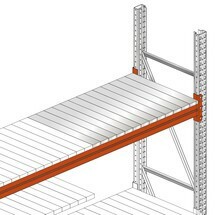 The META MULTIPAL pallet rack complete package ensures secure storage of your goods and easy access for your truck operators. The system is installed in single rows and is also suitable for heavy loads. Wherever forklift trucks are used, precision is key. 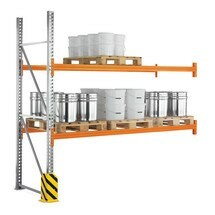 This pallet rack provides an ideal basis for efficient and secure storage of palletised goods. 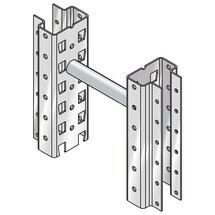 The cross members that support the pallets are attached via 4-hook clasps (brackets). 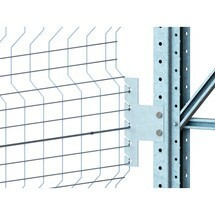 The mounting system of the META MULTIPAL racks uses a grid positioned at increments of 50 mm. 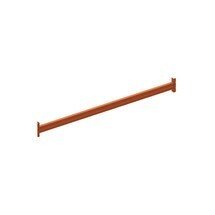 This allows you to adjust the spacing between the levels to suit your exact requirements. Truck operators can access the single-row pallet racks from one side. 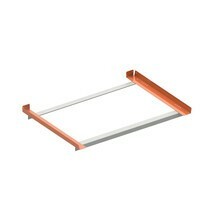 The spacing between the red orange (RAL 2001) cross members is designed for depth storage of Euro pallets. The surfaces of the frame uprights are galvanised, making them particularly durable and corrosion-resistant. The maximum height of the upper edge of the 1st support beam is 1000 mm. 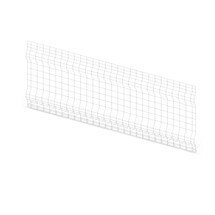 The quality of the META MULTIPAL pallet rack is certified to the highest standards. It has been successfully tested according to RAL-RG 614/2 of the German Institute for Quality Assurance and Certification. 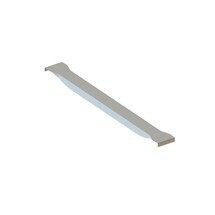 The rack also complies with the DIN standard EN 15512. 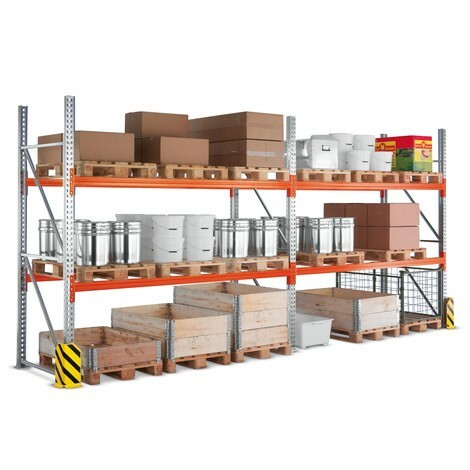 The complete package for META MULTIPAL pallet racks is available from our shop in various configurations. Place your order today. Height of top edge 1st level max. Complies with the statutory directive DGUV 108-007 (German Statutory Accident Insurance).